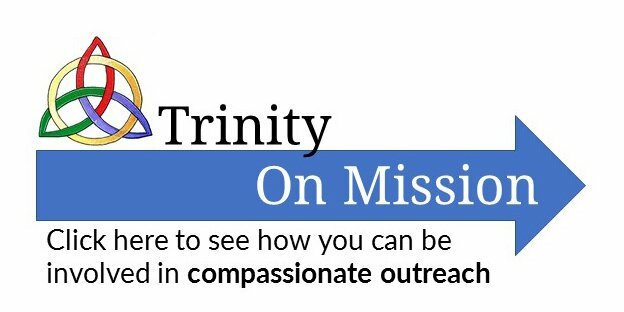 Small Groups are a key part of the ministry of Trinity Fellowship. This is the place where you can connect with others, know their needs, pray for them, study God’s word and serve together. Recently someone said, ‘the small group is like family to me.’ If you want that family closeness with others in the church, please consider getting involved in a small group. The group meets on Sunday afternoons every other Sunday from 4:30 to 6:30 p.m. at the DeGray’s house, 15922 Camp Fire Road, Friendswood. The group is open to all, not limited (as earlier) to grandparent types. We’ll be reading two short chapters of the great new book “Inexpressible” by Michael Card each meeting. We’ll also have a seasonally appropriate light meal (soup, to start) each meeting. Time: Sunday evenings, 6:00-9:00 p.m. beginning September 2nd. Supper together, then Bible study and fellowship. The study material is yet to be decided. All are welcome, especially families with children. Using an inductive Bible Study approach, we’ll focus on reading through books of Scripture rather than topical studies. We’re looking at the New Testament this semester, starting with I Timothy and addressing the topic of Leadership. The goal for this group is “to become warriors for Jesus who know and stand for truth.” We have a fellowship time at the beginning, a teaching time, game time, and then get into groups for prayer time at the end. This small group will resume on January 15th. We will study Luke, generally following Bob’s sermon series. For address and phone information to join this group please call the church office or talk with the Mohn’s or Gilbert’s. Men meet to pray together in the Prayer Room at Trinity. Prayer is powerful and effective, and the need for men praying together for ourselves, our families, and our nation is great. All men are welcome. We will be studying the book of James. We could possibly take a few more people, but if everyone comes we are pretty full. If you have questions, contact Todd Cobbs. Food, fellowship, singing, and an emphasis on intercessory prayer. All are welcome. This Bible study group for women will be using a Scripture writing plan and following the Sunday morning sermon series in Luke. Nursery provided.